The Slovak government has launched its EU Council presidency against a backdrop of street protests and opposition attempts to dismiss the prime minister and interior minister over alleged links to a tax fraud scandal. 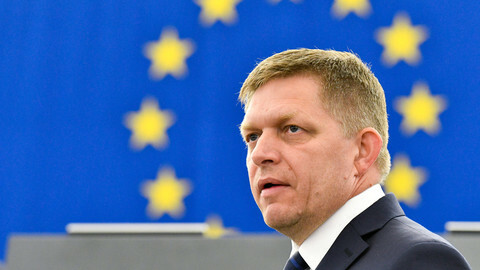 On Wednesday (6 July), as prime minister Robert Fico in Strasbourg unveiled the priorities of Slovakia's six-month term at the EU helm, the country's national parliament was preparing to debate his own dismissal over opposition claims that he covered up corruption. Fico has faced political and media pressure to sack the interior minister and deputy PM, Robert Kalinak, due to suspicion of financial links with Ladislav Basternak, a businessman accused of tax fraud. Opposition deputies say Kalinak failed to properly inspect Basternak's alleged tax fraud due to their purported links. Fico, a close ally of Kalinak, says there is no reason to remove the minister, even though two MEPs from the PM’s own Smer-SD party have also hinted that Kalinak should go. Two of the strongest opposition parties - Freedom and Solidarity (SaS) and Ordinary People-Independent Personalities (OLaNO-NOVA) - tried to remove Kalinak in June, but the speaker of the parliament, Andrej Danko, who is the leader of the Slovak National Party (SNS) in the ruling coalition, blocked the move. The opposition reacted by filing a motion to dismiss Fico himself. The debate and vote was scheduled to take place on Thursday, but it was postponed shortly after parliament opened its session due to a dispute over the non-attendance of some opposition MPs. The vote to dismiss Kalinak, who is due to chair an informal meeting of EU interior ministers on Thursday, is scheduled for September. Meanwhile, the attacks on Fico have also targeted the apartment that he rents from Basternak, the alleged tax cheat, in the luxury Bonaparte residential complex in Bratislava. 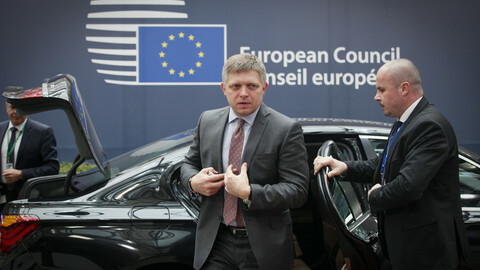 “If it is proved that the owner of my flat is a criminal, I will leave immediately,” Fico recently said in a TV debate. He added that he would not leave the property just because people have held protests in the street under his windows. Fico's junior coalition partners, the SNS, Most-Hid, and Siet (the Net) parties are taking the same line. They have called for a proper inquiry into the allegations, but refused to back Kalinak's ouster on the basis of allegations published in Slovak media. The Slovak president, Andrej Kiska, reacted to the scandal in a speech in parliament in June. 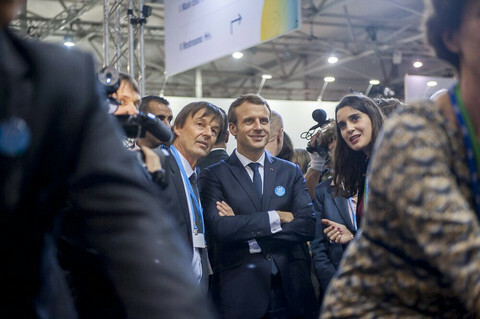 He called on politicians to act jointly to restore public trust or risk fuelling the popularity of radical movements. He did not openly say that the interior minister, Kalinak, should step down. But he said that “a simple polite gesture” of “political responsibility” could help to “appease the public and let the public institutions do their work”. 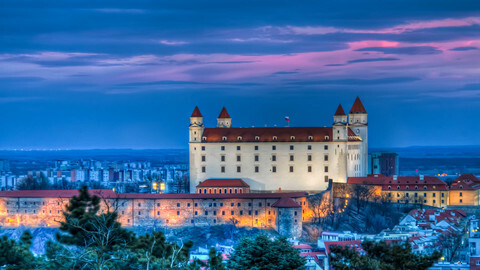 “Such a culture of good manners in politics works in other countries, but not in Slovakia,” he added. In a poll published on Wednesday, some 49 percent of people said Kalinak should step down over the Basternak tax fraud case. But 44.5 percent said that Fico should not resign or be dismissed for the same reasons. Some 74 percent of people also said that politicians use the Slovak police and prosecution service to serve their interests. 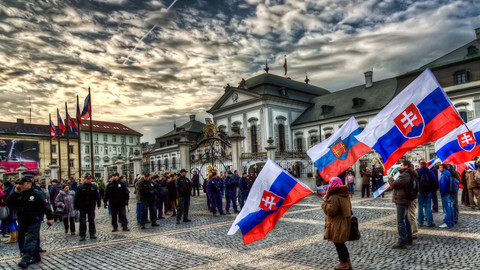 The suspicions over government links with oligarchs and public distaste over the opposition’s attempt to exploit the situation appear to have generated support for the extreme right Popular Party-Our Slovakia (LSNS). In elections in March, the LSNS, led by Marian Kotleba, made a surprise entry into the Slovak parliament with 8 percent of the votes. A survey of political views at the end of June to early July showed that that support now stands at 10.7 percent. With a weakened PM, a fragmented parliament and an extreme-right party winning seats for the first time, Slovakia is heading for uncertain times ahead of its EU presidency in July.